This Agera was finished late in 2011. After completion the car stayed for a few months with the factory and made appearances at “Top Gear Live” in Stockholm and Copenhagen during March and April of 2012. Soon after this the car left for the state of Kuwait and was registered there. The car also participated in the “Desert Run” 2014 between Dubai and Oman. Silver throughout with blue stripes that continue in the interior. Many of the usual carbon accented parts including mirrors and air inlet/outlets are seen. The twin deck rear F1 spoiler is also finished in silver with dual blue stripes running along the center. The wheels were factory fitted with 9 spoke brushed aluminum Vortex Generating Rims (VGR) which suits this car very well. The interior is mainly gray leather with blue accents on the door and seats. The steering wheel is also finished with gray leather. 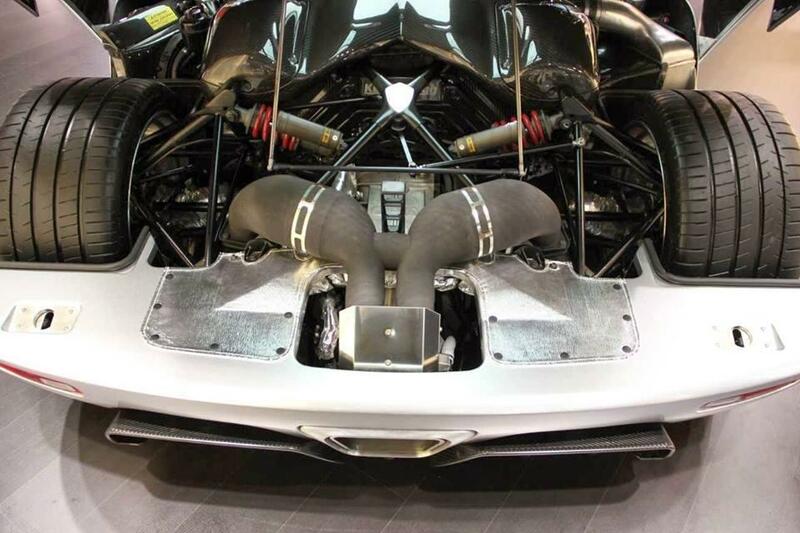 Standard Agera engine with 960 HP. This is the last known Agera series car to sport the old stripes pattern on the bonnet. From #090 Koenigsegg moved to the “Claw” design. Data collected by J_C, Prashanth and Stephan. Data page written by Prashanth.